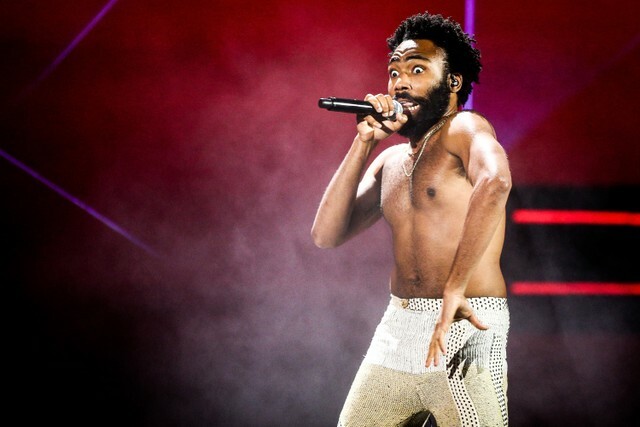 Childish Gambino headlined the first day of Coachella in Indio, California last night, and Donald Glover made it count. Immediately after his set, his new Rihanna-starring movie Guava Island started streaming on Amazon Prime. And during his set, he debuted an intense new song — possibly entitled “Warlords” — and performed an emotional, gospel-inflected rendition of Gnarls Barkley’s 2006 hit “Crazy.” He also smoked a joint with a fan during “Late Night In Kauai,” dedicated “Riot” to Nipsey Hussle, his father, Mac Miller, and the audience, and walked offstage to hug Janelle Monáe after “This Is America.” Watch below.